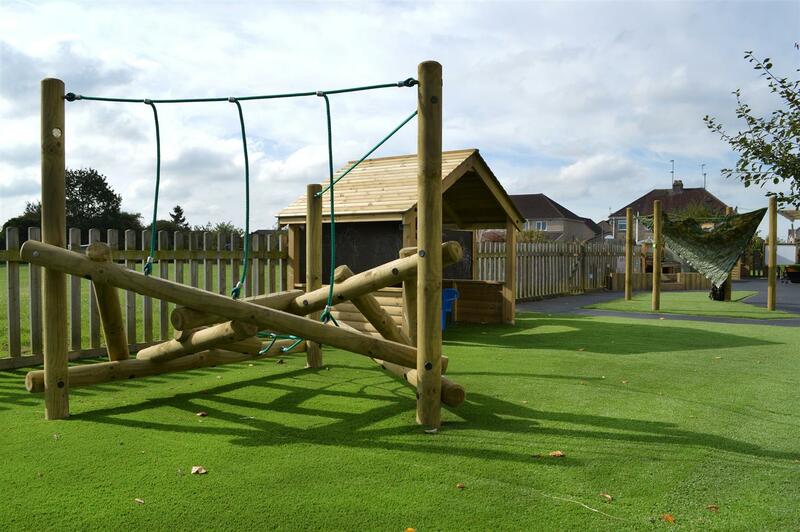 A bright and spacious early years playground, brimming with opportunities for imaginative play, den-making and physical development. 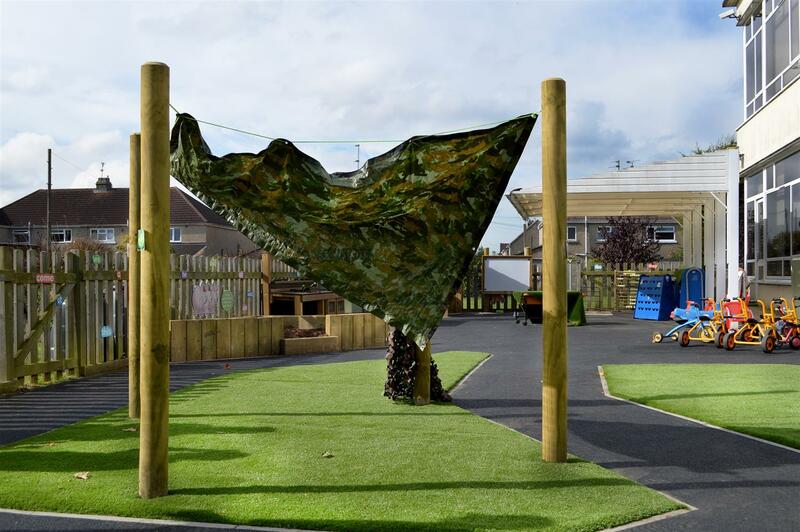 We worked alongside the teachers of St Mary’s Catholic Primary School, to transform their early years playground into a safe and inspiring environment for investigative learning, messy play, den-making, physical development and imaginative thinking. 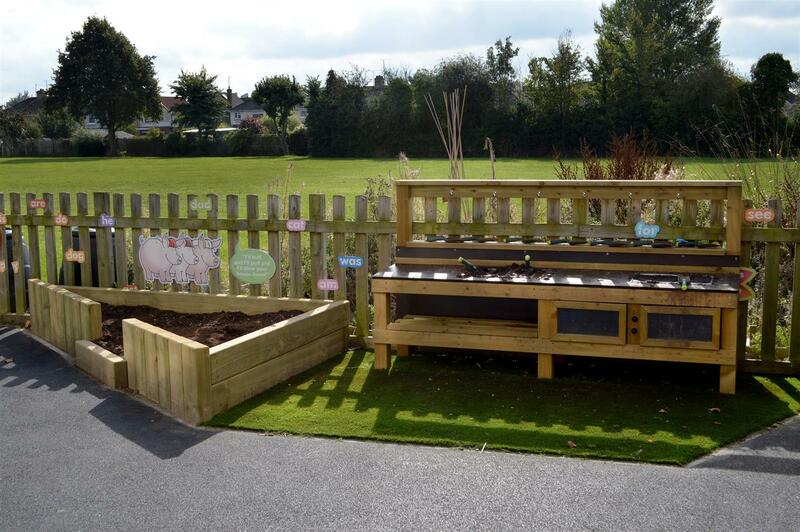 Originally, the environment lacked engaging resources and had limited space for children to move and explore. This was mainly due to the fencing that separated the space into two areas (one was mainly concrete while the other was entirely grass). 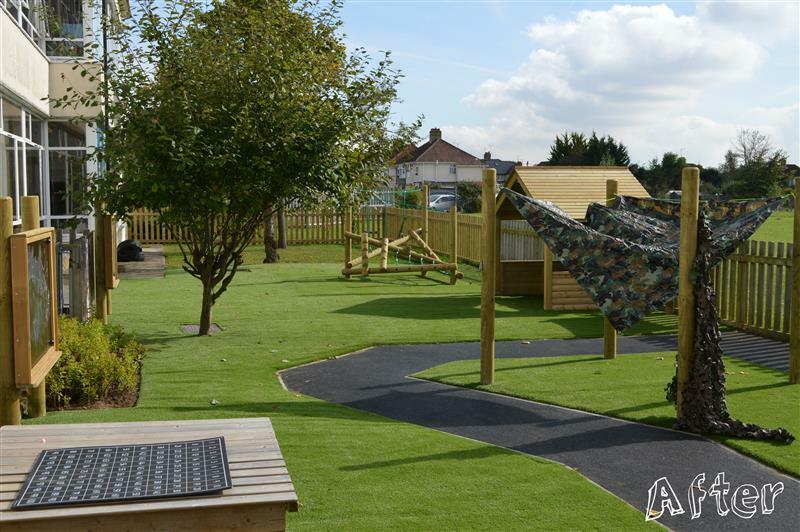 This meant that during bad weather conditions, the grassed area became a 'no go' zone for the children, meaning they could only access half of their space during outdoor play. 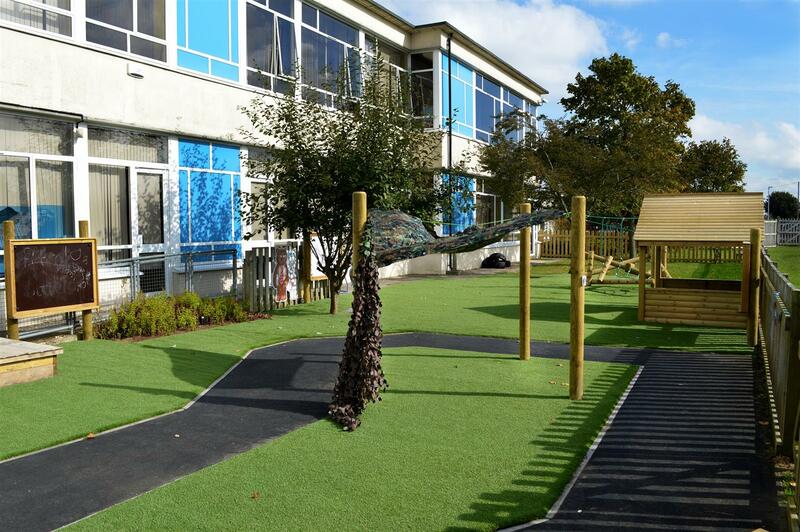 To ensure this never happened again, we replaced the unsafe grass, with our excellent Artificial Grass Playturf Surfacing. 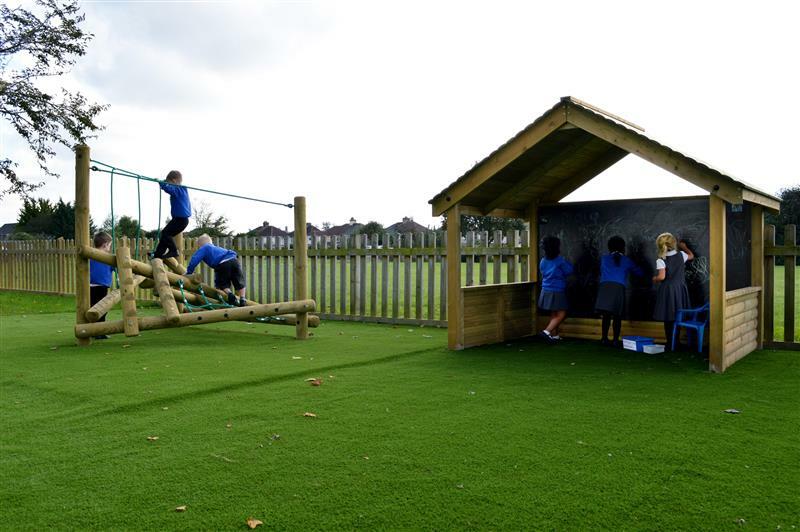 The area can now be accessed in all weather conditions and the bright and natural feel of the artificial grass, makes it a much more inviting place to play. 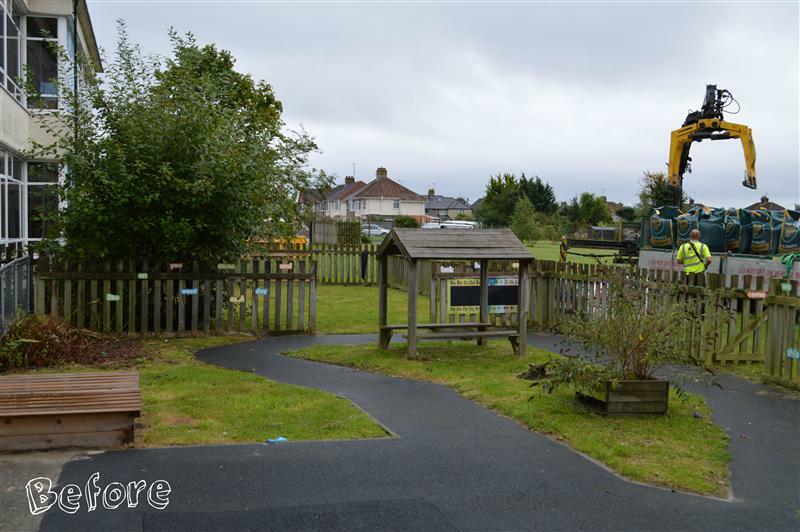 We then removed the fencing to open up the area and reduce the space restrictions children used to face... they now have the freedom to run, jump, crawl, climb and explore the many wonders of their new outdoor area. 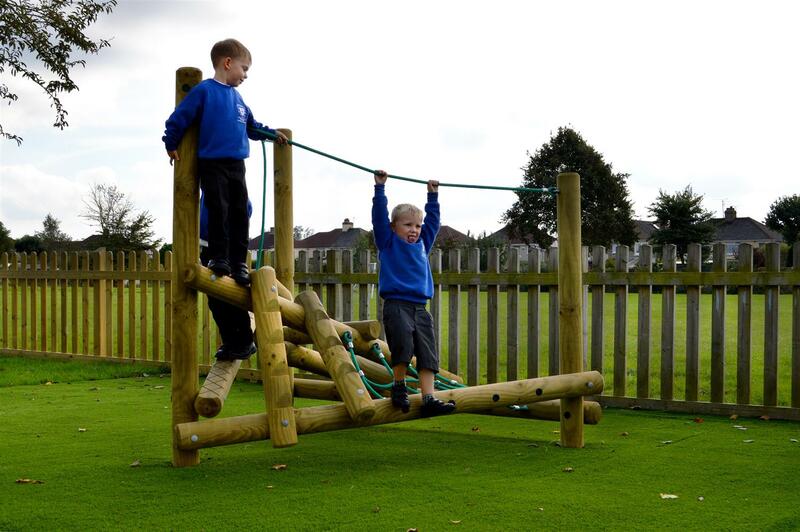 We installed our Kinder Scout Climber to provide the children with an exciting and open-ended climbing challenge. 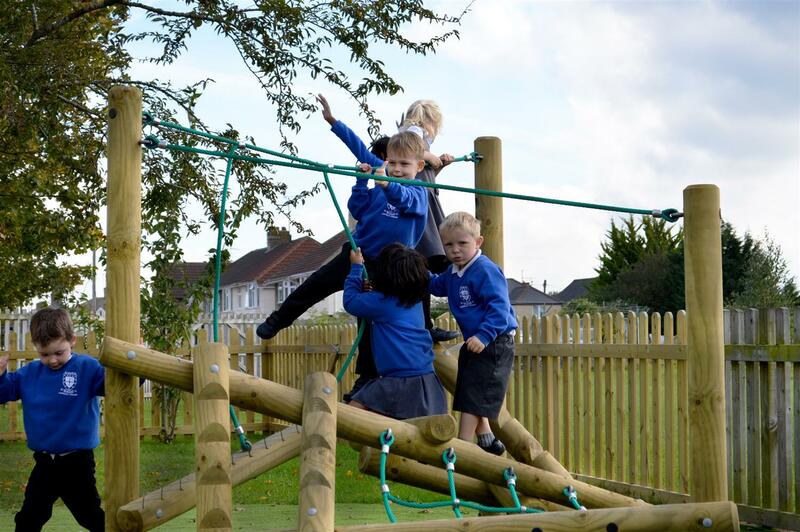 This log climbing frame, will educate the early years children on how to use their hands and feet to climb, crawl, hang and swing from the different angled timber beams and ropes. 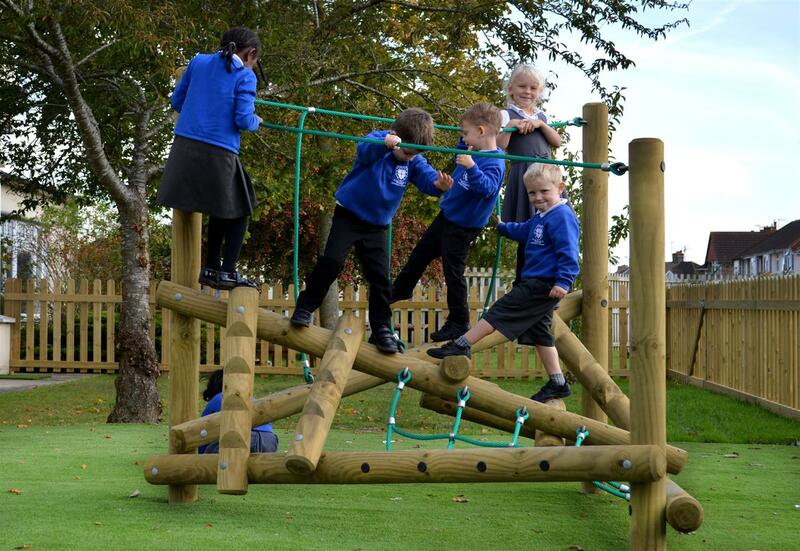 It will also prepare the children for the climbing challenges that they will face in Key Stage 1 and Key Stage 2. 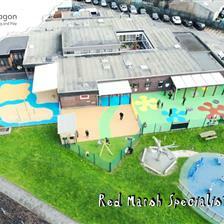 Before our development, the playground lacked imaginative resources for the children to self-select from during play. 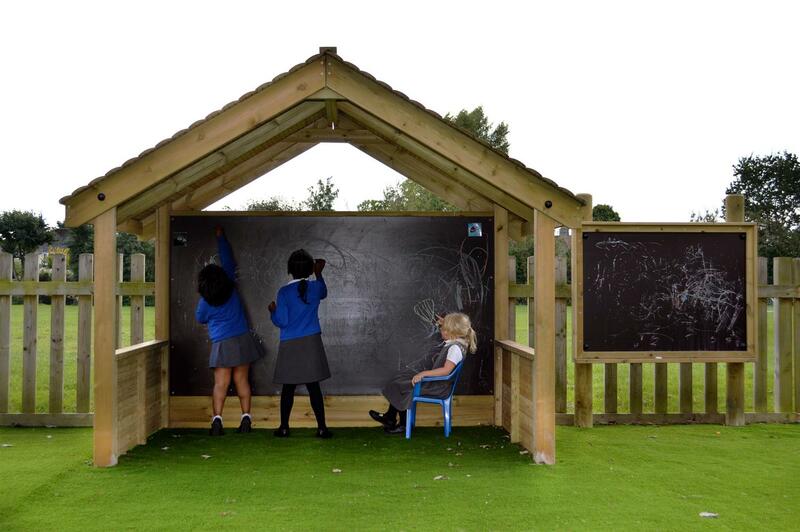 Our Playhouse with Chalkboard, is a fantastic open-ended and imaginative resource which encourages role play, mark-making, language, communication, PSED and children's understanding of the world. St Mary's new Playhouse, can be transformed into anything their children's minds conjure up - one day it could be a Bakery while on another day, an A&E department. 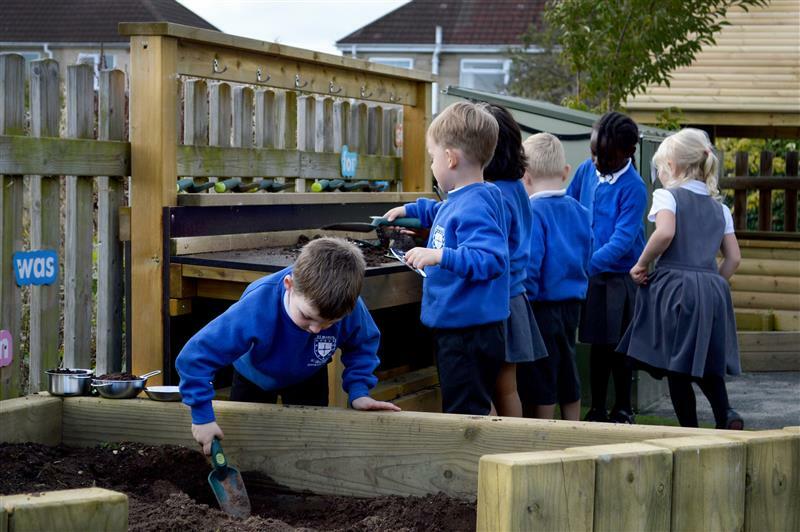 The teachers now only need to provide support and enthusiasm, rather than initiate activities, as the children begin to think imaginatively and put ideas into place. 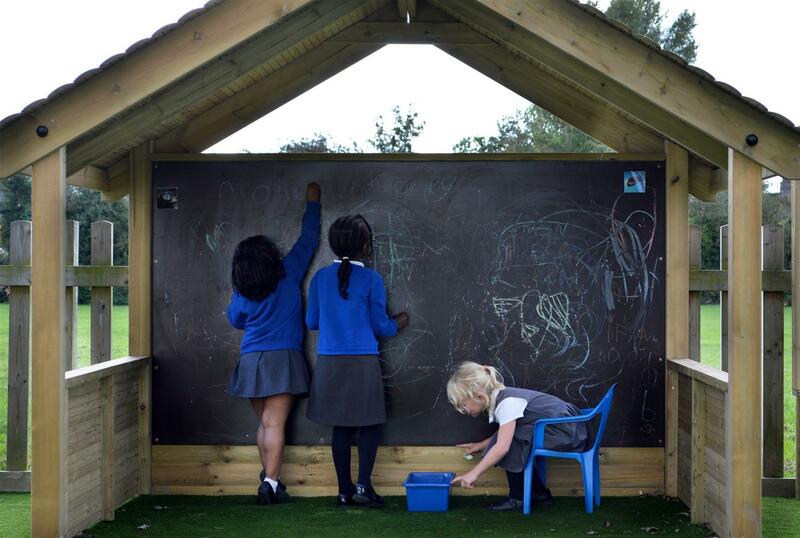 Children and teachers can use the chalkboard to encourage pretend play games and help develop children's drawing and writing skills. 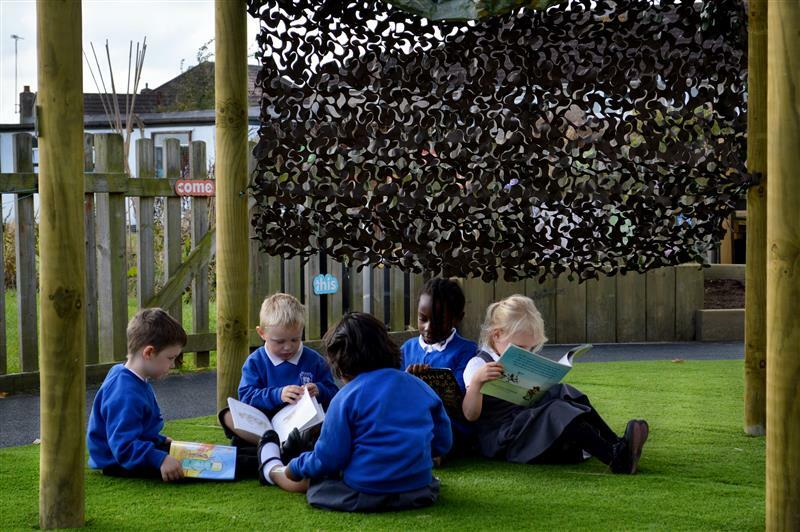 It also works brilliantly as an aid for teaching small groups of children and offers an unlimited amount of creative play opportunities, making it very hard for the children to run out of ideas or find the resource un-inspiring. 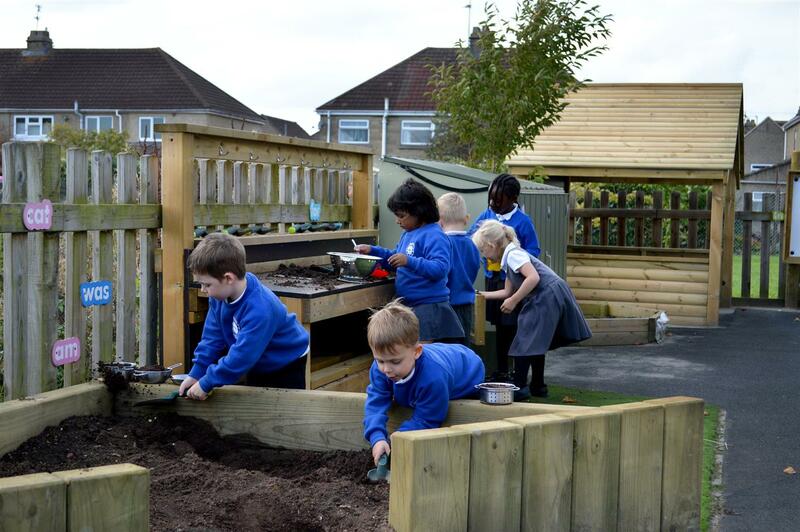 We installed our Den Posts to create a zone for den-making. With the addition of some sheets and materials, children will use their imaginations to transform the den into anything from a spaceship to a hidden cave. It also acts as a fantastic quiet zone for children wanting to relax and separate themselves from the active environment... an ideal place for some outdoor reading. 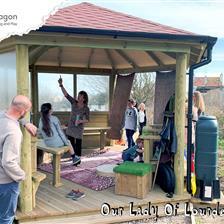 You can view all of our open-ended den-making and playhouse products here. 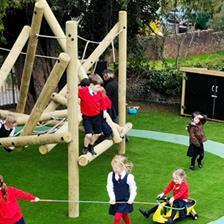 At the bottom of St Mary’s playground, the teachers wanted a space that encourages messy styles of play. 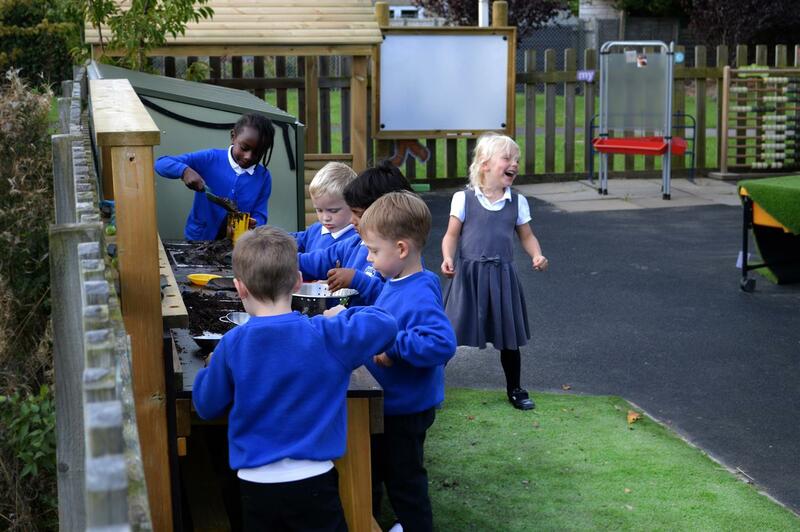 We used our Dig Pit and Mud Kitchen to encourage children to explore the textures of wet and dry mud in a fun and engaging way. 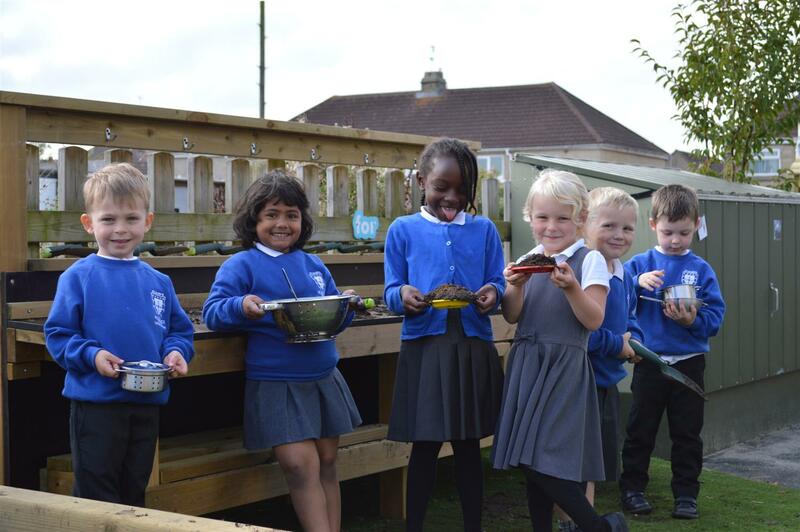 The children will unleash their inner chef and conjure up some delicious mud pie recipes. 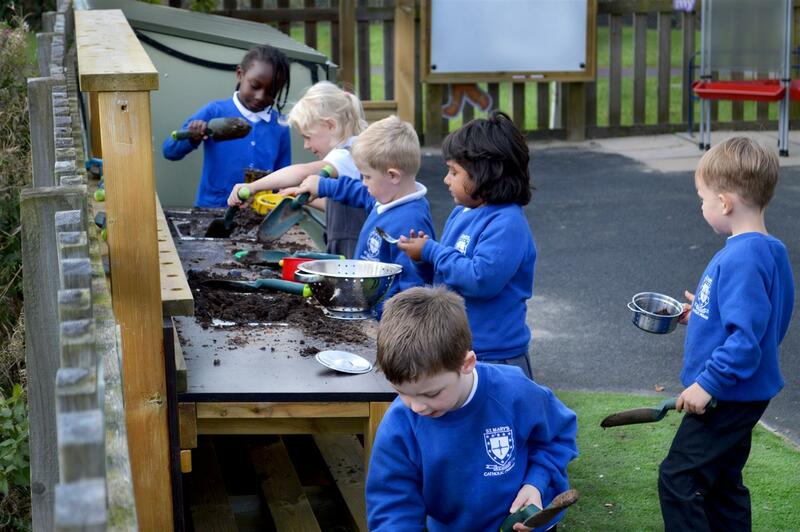 If the Mud Kitchen runs low on ingredients, the children will have to get digging to collect mud from the Dig Pit. This helps develop children's eye-hand coordination, muscles and fine muscle control as they scoop, pour and manipulate the soil. 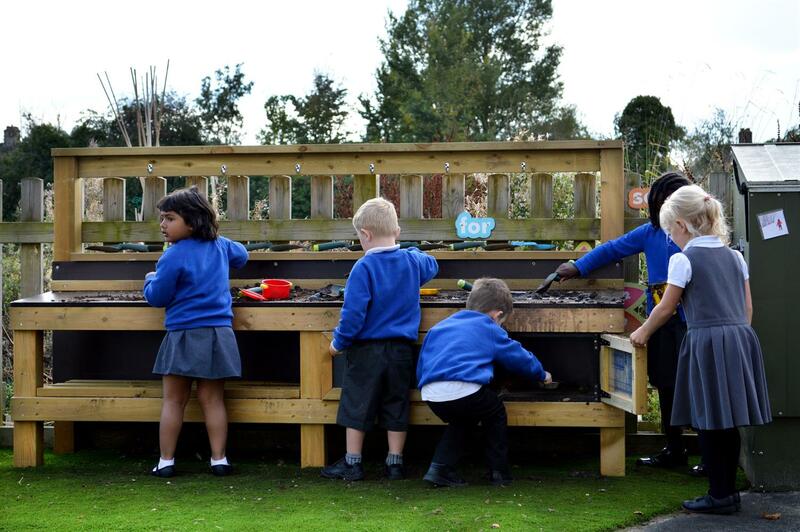 Take a closer look at our mud, sand and water playground resources here. 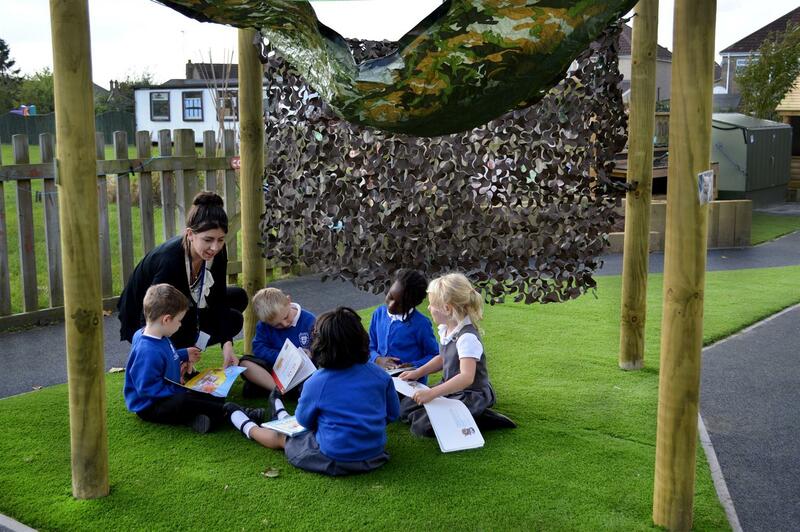 Are you looking improve your early years outdoor learning environment? Simply fill out our Contact Form or give us a call on either 01625 890 330 (North Office) or 0117 379 0899 (South Office) to arrange a FREE consultation.